The time for new year resolutions is here once more. 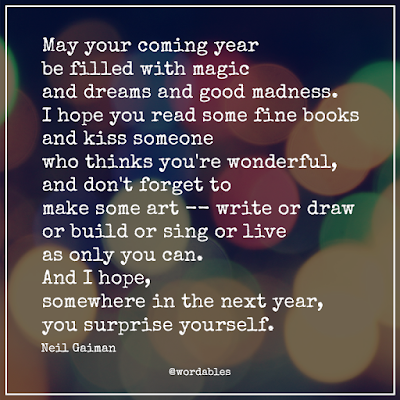 Instead of a wish list, I am quoting Neil Gaiman in wishing everyone the best for this coming new year. As I wish for myself, I wish the most wonderful year for everyone too. If you're planning to write down your new year's resolutions, check out some suggestions from 18 Resolutions You Won't Regret Making in 2016. If you want to enhance your cooking skills, check out this article on 16 New Year's Resolutions That Will Make Anyone A Better Cook. Want to start eating healthy? Check out this article on 7 Ways To Eat Healthier Without Even Realizing. This article has great cooking tips too. All 4 are Buzzfeed articles because I love this site. It's one of those interesting places in the interwebs where you can find tons of stuff that are mostly helpful if you know what you're looking for. 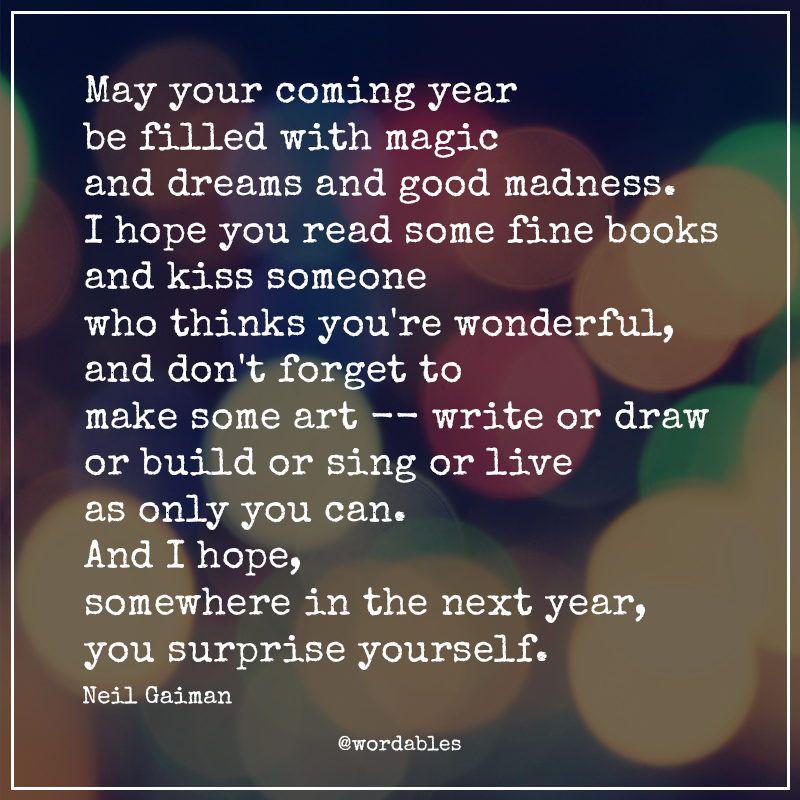 Hope these suggestions help you plan your own new year's resolutions and just as Neil Gaiman says, "I hope, somewhere in the next year, you surprise yourself." Surprise yourself with the success you have achieved by committing and completing all the items on your list.